Carla Sonheim is an artist and creativity workshop instructor known for her fun and innovative methods designed to help adult students recover a more spontaneous, playful approach to creating. 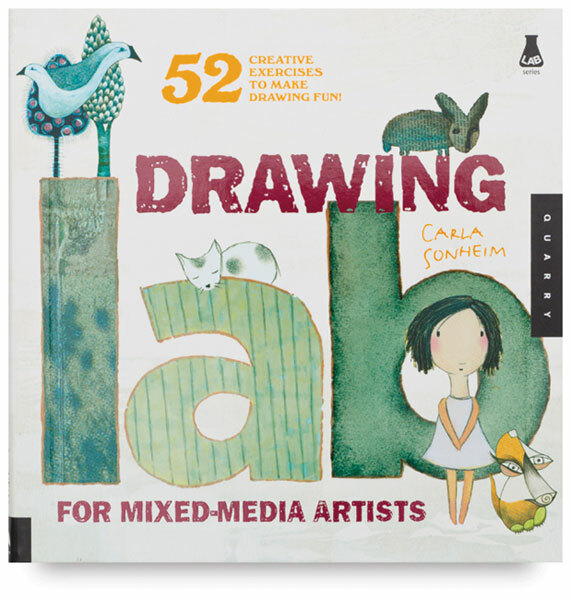 Her ideas are now collected in Drawing Lab for Mixed Media Artists for everyone to enjoy. Sonheim offers a year's worth of assignments, projects, ideas, and techniques that introduce more creativity and nonsense into your art and life. She offers those interested in drawing a fun way to learn and gain expertise through experimentation and play. Remember — there is no right or wrong result! The goal is to gain new skills and confidence, allowing you to take your work to a new level. Paperback. 144 pages. 8½" × 8½" (22 cm × 22 cm).